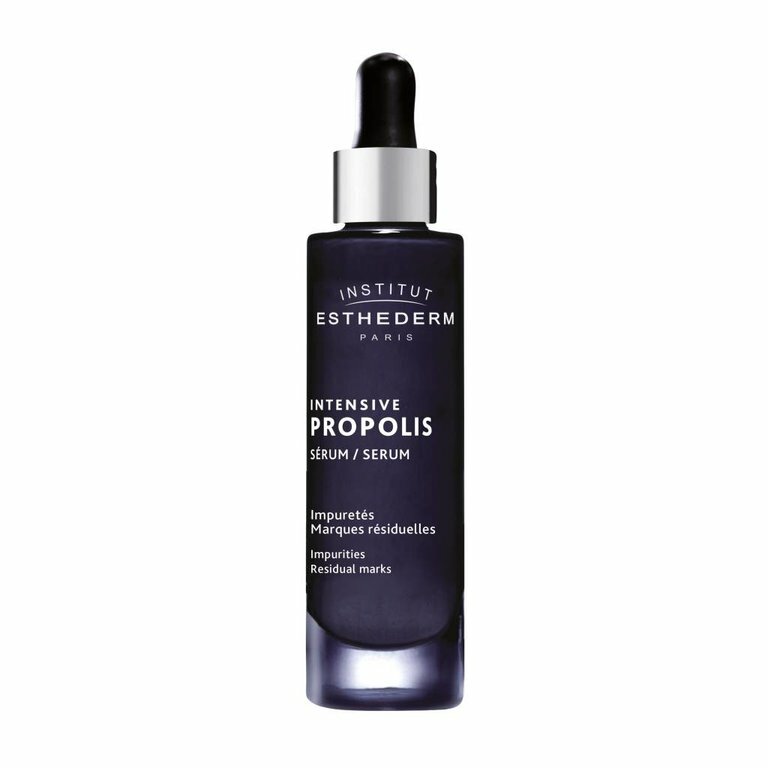 Decongesting serum with high concentrations of propolis. A combination of resinous substances that has synergistic, decongesting and soothing properties. Blemishes are diminished. Complexion is brighter, skin is cleansed and purified. Apply alone or under Intensif Propolis cream, morning and/or evening, on the face and décolleté. Used alone, this serum is ideal in the summer. For optimal results, use over a two-month period.